The formulations for our Artists' Water Colours are each unique and vary according to the nature and behaviour of each individual pigment. 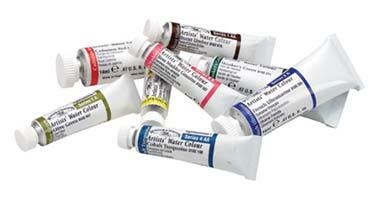 The Artists' Water Colour range is split into 4 groups termed 'Series'. The series indicates the relative price of the colour and is determined mainly by the cost of the pigment. Series 1 is the least expensive colour and Series 4 the most expensive. Today the Artists' Water Colour range benefits from continued advancements in pigment technology and production methods to enable us to build upon our already high standards to produce even brighter, more transparent and more stable colours. Equally important, many of our formulations remain the same - proving that they cannot be bettered!